Pharmaceutical delivery startup PillPack has raised a $50 million growth round in Series C financing to start building retail pharmacies and take on other retail drugstores like RiteAid and Walgreens. The startup launched in 2014 as a way to ship medications on a regular basis straight to someone’s door instead of making them go pick it up at the pharmacy every time. 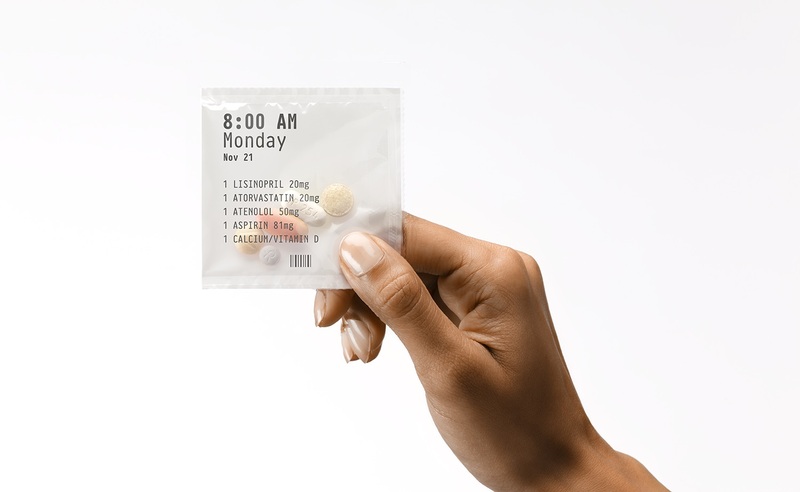 PillPack coordinates with insurance and physicians and then organizes and labels each medication in unique packaging. It then ships a personalized roll of pre-sorted prescriptions, vitamins and over-the-counter drugs every two weeks to wherever you tell it to go. PillPack has seen some pretty healthy growth in the last two years, shipping more than one million dose packs and expanding to serve 48 states in the U.S. But it built its service in the delivery space. Adding physical pharmacies is an interesting twist for the startup, which launched to take on brick-and-mortar retail drugstores. However, there’s a lot of potential competition in delivering medications. On-demand physician services like Heal will send someone to drop off medications after a visit. Even the forgotten step-cousin of ride hailing startups Sidecar has promised to start bringing medications straight to your door in the near future. Taking medication service to the physical realm may be one way PillPack can offer something the competition is not set up for. CEO TJ Parker believes these new drugstores will add something to the modern pharmacy experience that has been overlooked. He aims to bring back the friendly neighborhood pharmacists of yesteryear in order to provide “an even more delightful experience for our customers,” he told TechCrunch over the phone. Most of the money will be used to build out these physical pharmacies in large metro areas as well add more to the sales, engineering and operations to handle the expansion over the next year. The pharmacies are intended to do two things – give people the option to get their medicine faster than it would be to ship from PillPack and offer a knowledgeable pharmacist at the ready. Parker didn’t want to say exactly where those pharmacies would be, but he did mention they would be in large metro areas, possibly in San Francisco and New York City. He imagines PillPack should have the first stores up and running toward the end of this year. Charles River Ventures (CRV) led the round, with participation from Accel Partners, Menlo Ventures, Atlas Venture, and Sherpa Ventures. PillPack raised a total of $12.75 million last year. That means it now has a total of $62.75 million in funding. George Zachary from CRV will take a director seat on the PillPack board, joining Fred Destin from Accel Partners, Jon Karlen from Atlas Venture, and David Frankel from Founder Collective.